Either way, I enjoy a good tuna. 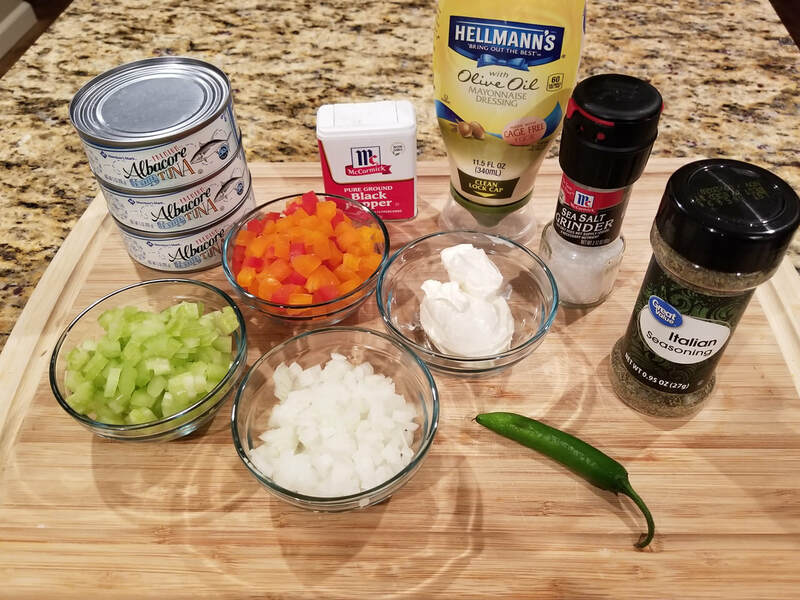 I especially enjoy it with little hints of crunchiness throughout with diced vegetables along with a subtle hint of flavor and spicyness. 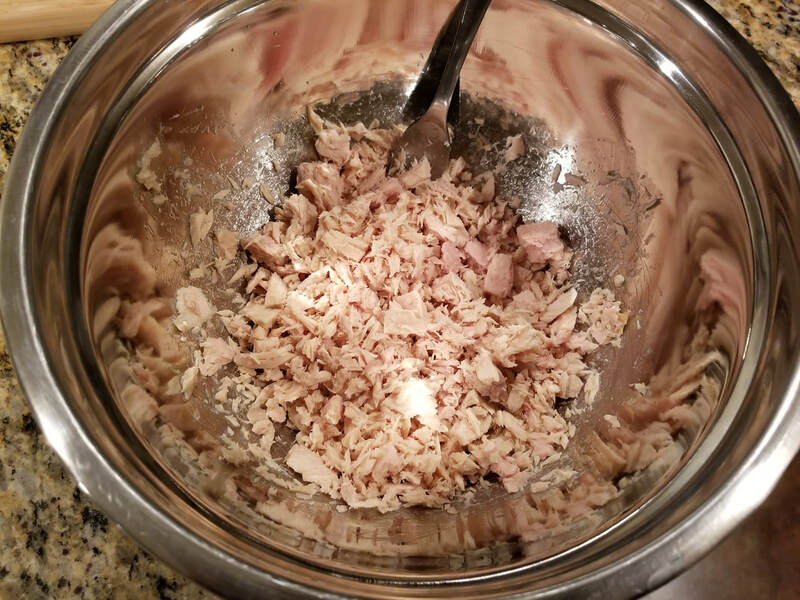 I remember making tuna several years ago and didn't have enough mayonnaise on hand. Lurking through the fridge, my eyes fell upon some cream cheese sitting idle near the back. Should I? I sure did! 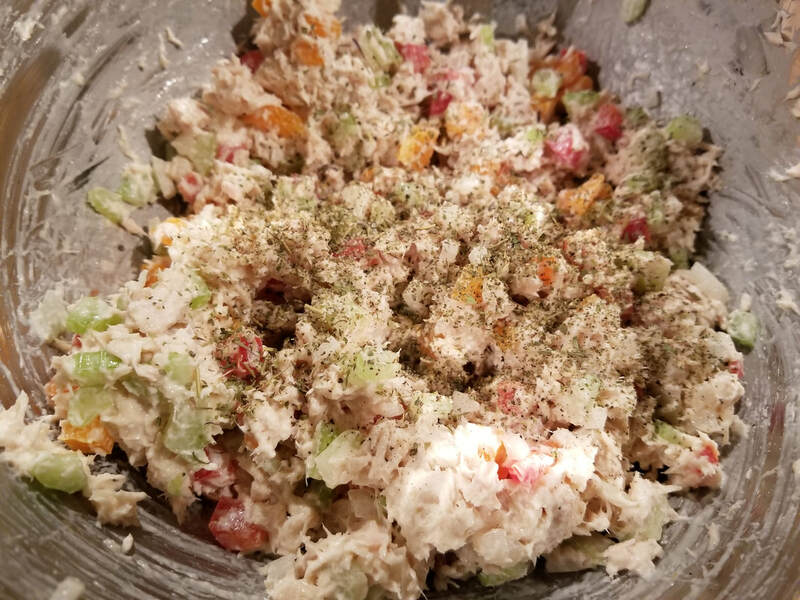 Since then, I've been making tuna with the combination of mayo and cream cheese and never looked back. 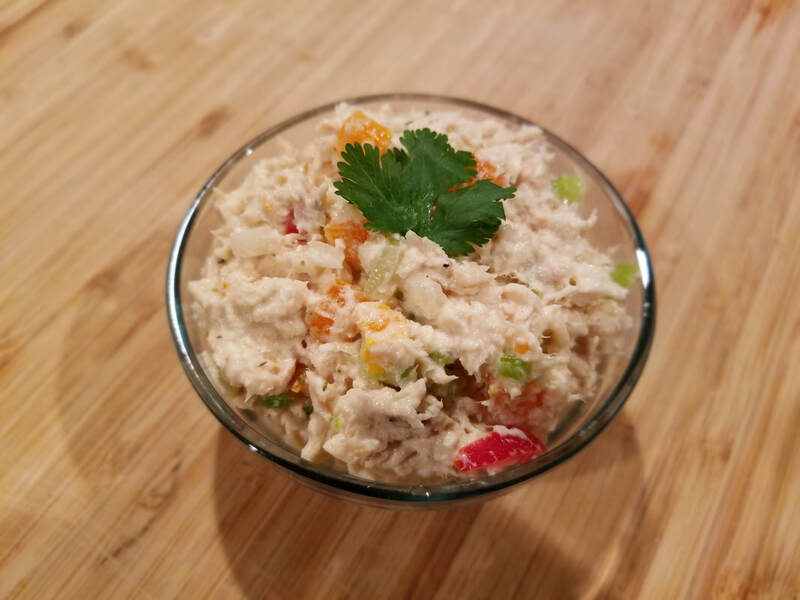 This is one of those recipes that does not require anything special but chopping and mixing. So easy that even your kids can do it. Well, that's unless they're too young to handle a knife then you would still have to do it yourself... 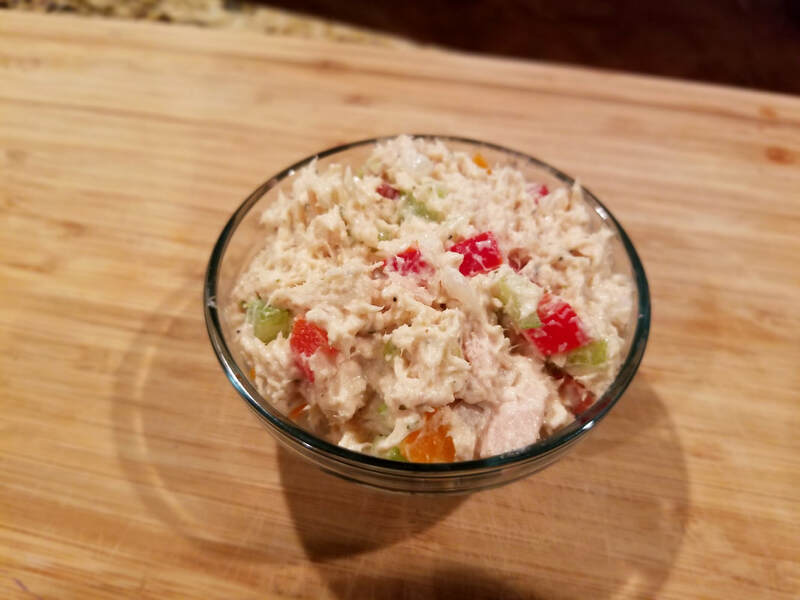 I hope you give this tuna a try and enjoy my version with the mayo/cream cheese mix. 1. 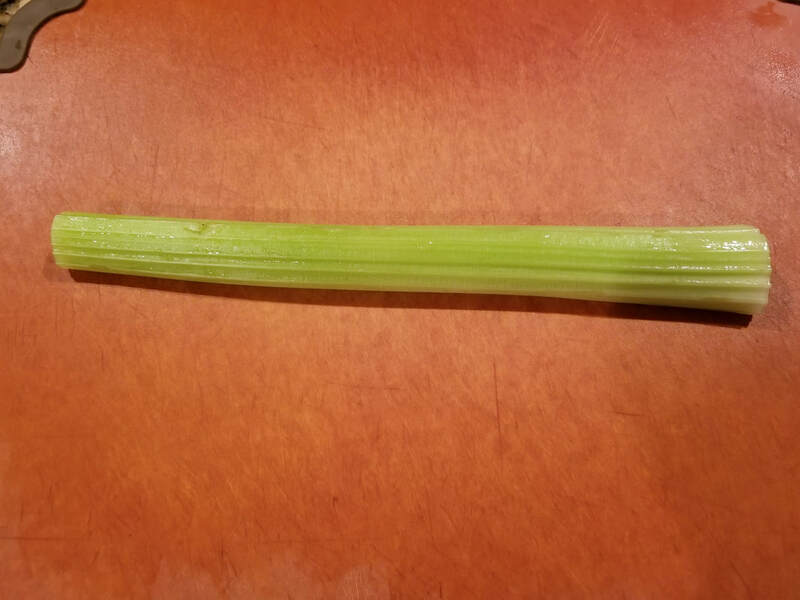 Prepare all your vegetables. 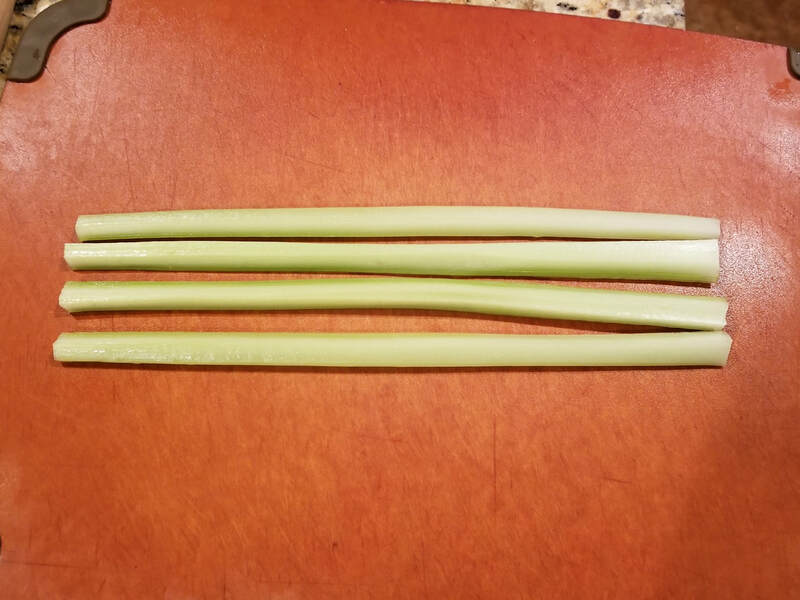 Dice 1 stalk of celery, dice 1 small onion, and dice about 1/4 cup worth of bell peppers (color of your choice). Set all the vegetables aside. 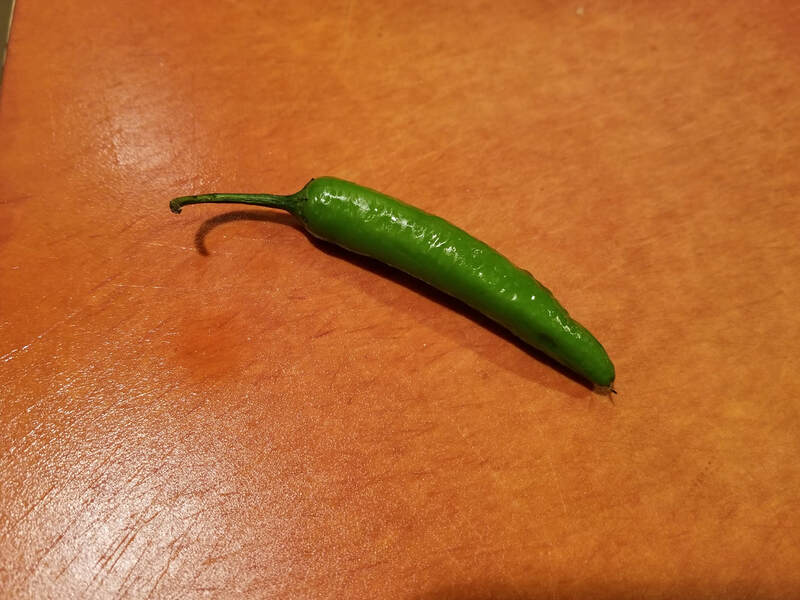 *Optional- for a hint of heat, dice 1 serrano pepper or 1 small jalepeno pepper. 2. 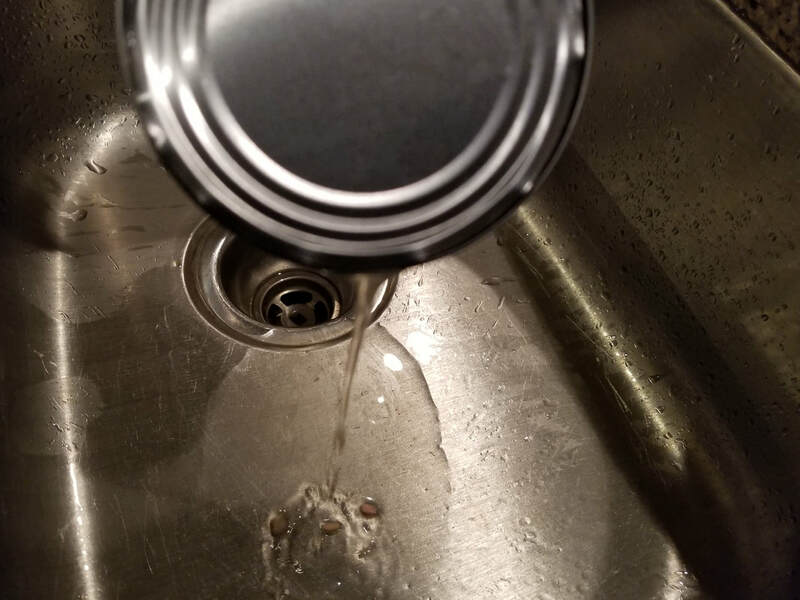 Open 3 cans of tuna and drain the liquid. 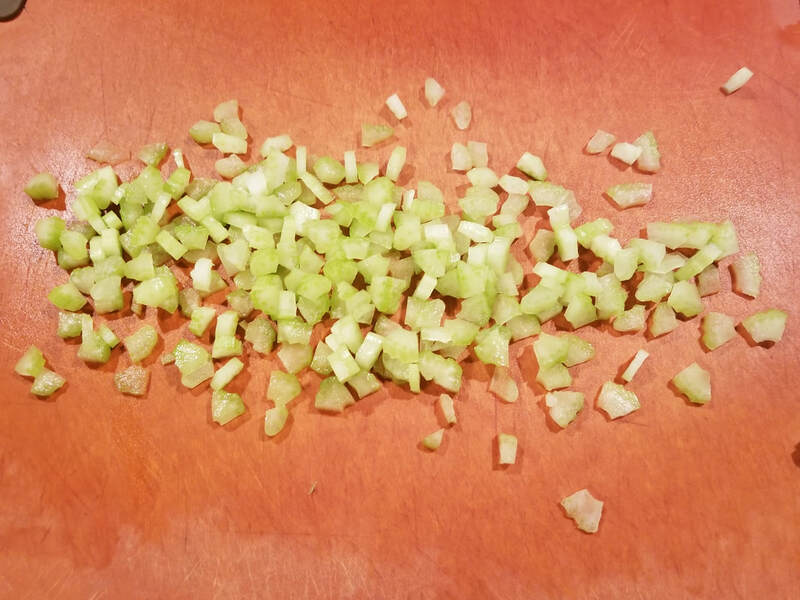 Add to a bowl and break apart large chunks with a fork. 3. 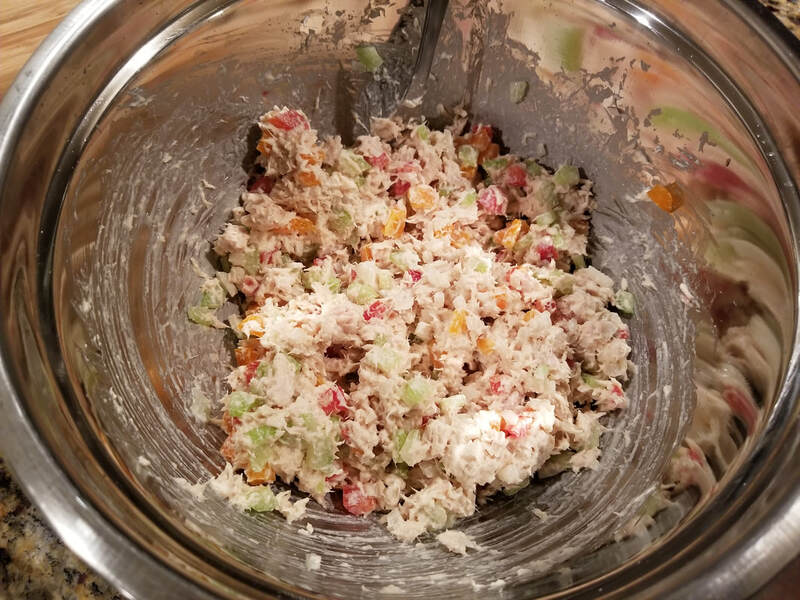 Add 3-5 tbsps of mayonnaise, 4-6 tbsps of cream cheese, the diced vegetables (and optional diced hot peppers). 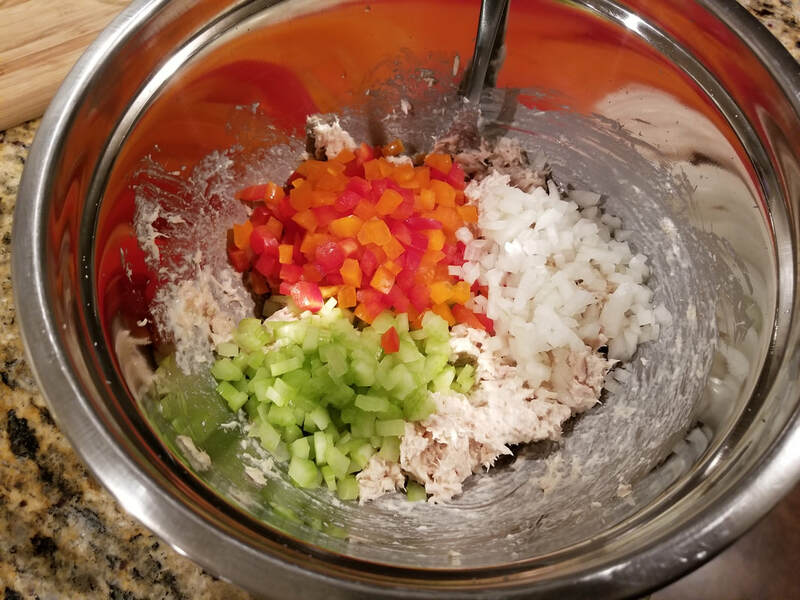 Mix to combine ingredients well. 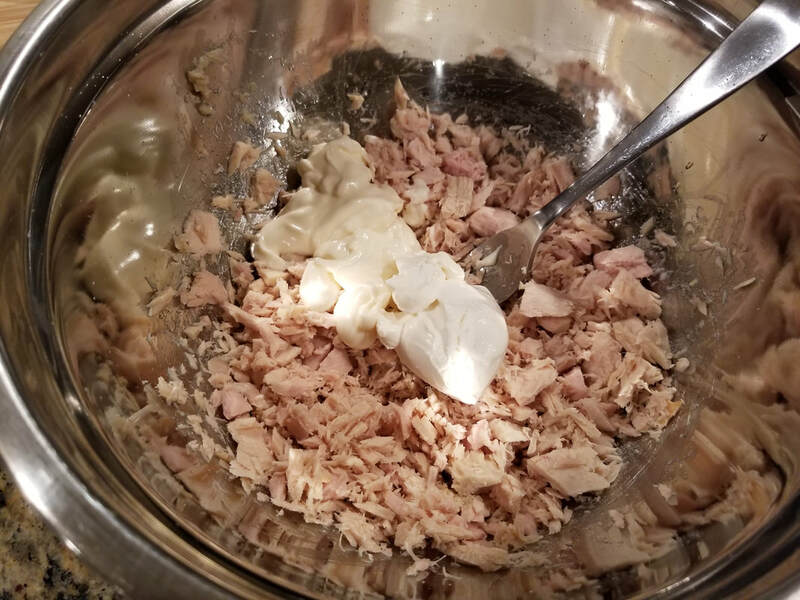 Albacore tends to be a little coarser in texture compared to tuna so I tend to add more mayo and cream cheese versus less mayo and cream cheese in regular tuna. Find a balance on the amount between the two that works for you based on the type of tuna you prefer. 4. Add in the remaining spices: 1/2 tsp oregano OR 1/2 tsp italian seasoning and salt/pepper to taste. 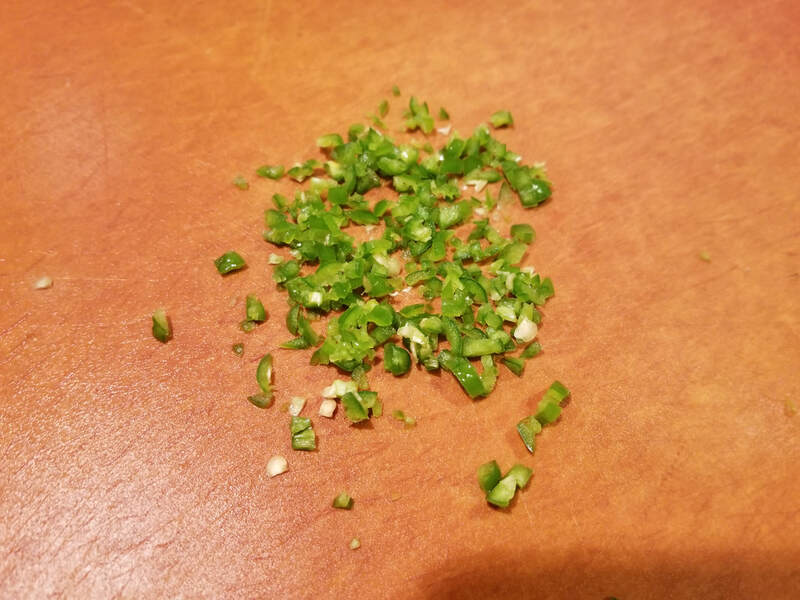 (As a side note, I personally prefer oregano over italian seasonin in this recipe.) Mix well. 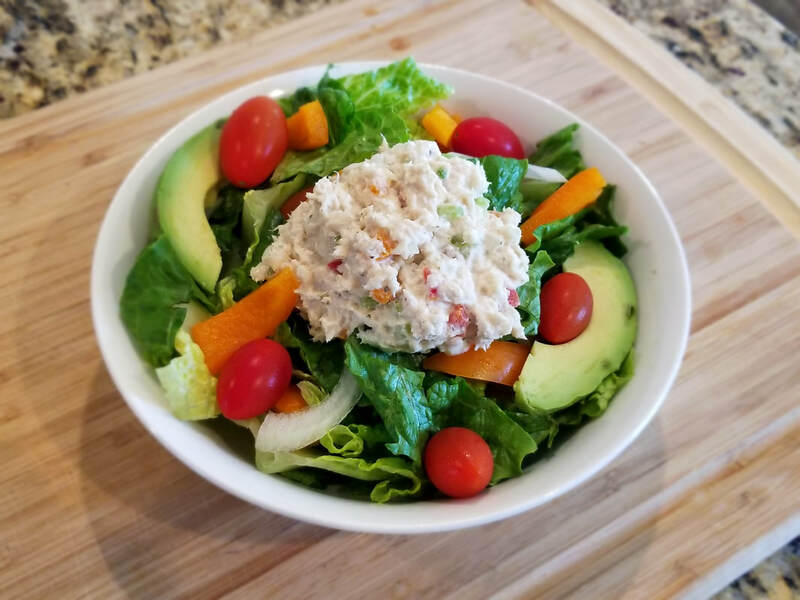 What do you think of this tuna recipe? 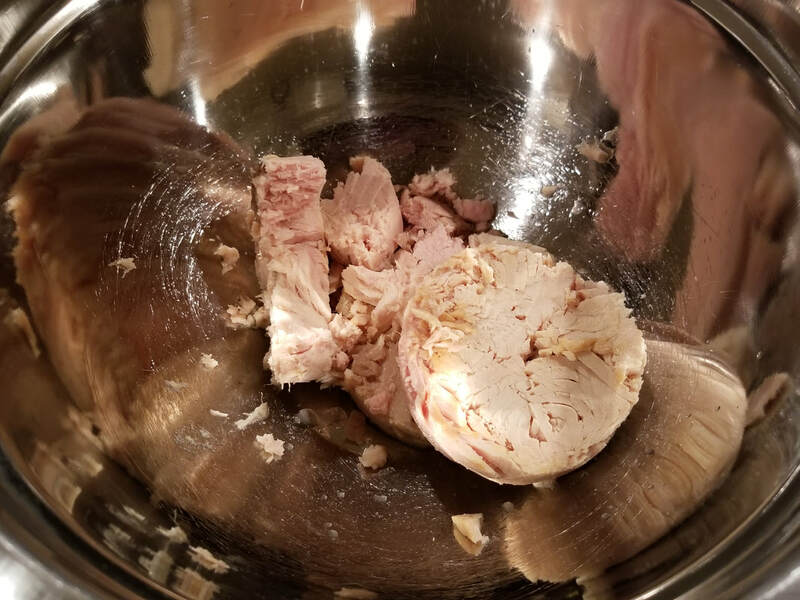 What do you like to eat tuna with?